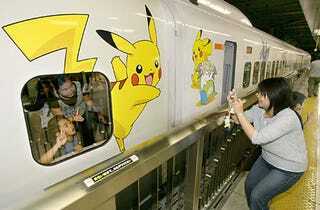 I was surprised to see Pikachu, but I really like the character so I'm happy...It's a cool bullet train. And Pikachu was surprised to see you. Summer 2008, this is the photo op. Hit the jump for a clip of the train in action.